You probably know that in order to lose weight, you have to make some long term changes in your life. You need to improve your eating habits; you need to get more active; you need to break a bunch of bad habits that have caused the weight to creep on over the years. But within those broad guidelines are a ton of little temptations and choices that can sometimes cause confusion or uncertainty; and where confusion and uncertainty lie, so does the likelihood of going off track from your goals, creating delays, obstacles and plenty of frustration. To help you avoid that, we”ve put together some quick and easy weight loss ” “do”s and don”ts” . Some of them focus on the actions you take each day, while others deal directly with your attitude and mind-set ” “ both are important to your success! Some of these tips are just plain common sense, so you may have seen them before or already realized them yourself, but others will probably be new insights for you. Keep this handy and refer to it often while you are working toward your goal weight. Not only does it contain some helpful little tools and tricks, it will keep you feeling motivated and dedicated to reaching your goal. 1) Don”t expect other people to make it easy on you. When you start a weight loss program, do you get frustrated by your family or friends eating fattening food in front of you? Do they even go a step further and try to make you eat food you shouldn”t be eating? Do they invite you out to eat at your favorite restaurant even though you would prefer to avoid it until you feel more in control of your eating? Does your spouse fill the kitchen cupboards with junk food and fattening snacks? In a perfect world, your loved ones would honor your choices and do everything they could to help you reach your goals . . . but that may not be realistic for you. If your loved ones are less than helpful about your weight loss plan, don”t let it sabotage your efforts. Keep reminding yourself that their behavior doesn”t matter ” “ only your OWN behavior matters. Keep focused and stay committed to your goal and it won”t matter what anyone else does. 2) Don”t try to do it all in one day. When you decide to lose weight, you can”t wait to get to your goal. You wish you could just wave a magic wand and make the pounds disappear NOW. It”s normal to feel that way, but obviously it”s just not realistic. Make a decision right now that you are going to lose weight one pound at a time, making steady progress toward your goal, however long it takes. If you stay committed to the PROCESS rather than trying to lose all of your weight instantly, you”ll be less likely to get frustrated and give up. 3) Don”t try to cheat your way through. Have you ever wished you could lose weight without having to make sacrifices? You want to eat healthier, but you don”t want to give up your favorite fattening foods. You want to be fit and strong but you don”t want to put in the time exercising. Needless to say, you can”t ” “cheat”  your way to a healthy weight. The only person you”ll be cheating is yourself. If you want the benefits, you have to make the sacrifices and put in the effort every day. However, the sacrifices don”t have to be painful and the effort doesn”t have to be excessive. Weight loss isn”t about how miserable you can make yourself feel ” “ it”s about learning how to treat your body with love and respect. And that can definitely include a few ” “treats”  here and there; but make them treats, not CHEATS. 4) Don”t aim for quick fixes. 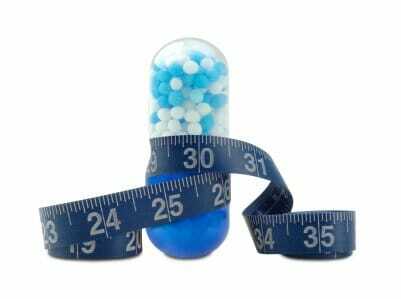 When you want to lose weight quickly, there is a temptation to take drastic action with fad diets and rapid weight loss programs. Some of them may actually work, but they are definitely not good for you ” “ and some can be downright dangerous. Remember this about quick fixes: they are ALWAYS TEMPORARY. All of those rapid weight loss diets and programs do not teach you how to modify your eating and exercise habits so the weight actually stays off for good. Once you stop following the fad diet, the weight just piles right back on and you are back where you started. Don”t waste your time! 5) Don”t focus solely on calories. You”ve probably heard the phrase, ” “calories in, calories out” , and what that means is, weight loss happens when you expend more calories than you take in. Many people take this very literally and try to lose weight by focusing ONLY on how many calories they are taking in versus how many they are expending with exercise. But there”s a problem with doing this: you can still be extremely unhealthy even if you keep your calorie intake low. If you eat nothing but poor quality, fattening food, you aren”t giving your body what it needs to be strong and healthy. 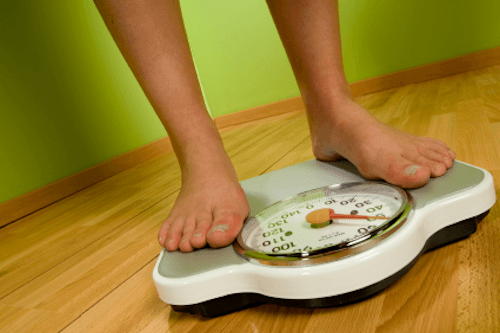 You may lose some weight initially, but it may not stay gone for long. Calories do count, but they aren”t the only important factor when it comes to health and weight loss. 6) Don”t overdo it on the exercise. Have you ever tried to use exercise alone to lose weight so you wouldn”t have to change your eating habits? Or maybe you wanted to get fit so badly that you just dove headlong into a rigorous exercise program? If you are already fit and strong, your body can probably withstand a rigorous workout routine. But if you are out of shape, overweight, or over 35 years old, it might be too much, too soon. You are more likely to injure yourself by overdoing it, and that will only delay the achievement of your goal. You may be tempted to reduce your food intake to lose weight faster, but this will only backfire by slowing down your metabolism. When you eat too little, your body thinks it may be in danger of starving so it slows everything down, including weight loss. Rather than skipping meals, try simply reducing your portion sizes. Eat multiple small meals and snacks all day long to keep your blood sugar stable and your metabolism going strong. 8) Don”t compare yourself to others. It is sometimes tempting to look at other people who are losing weight and get frustrated because you aren”t making as much progress as they are. 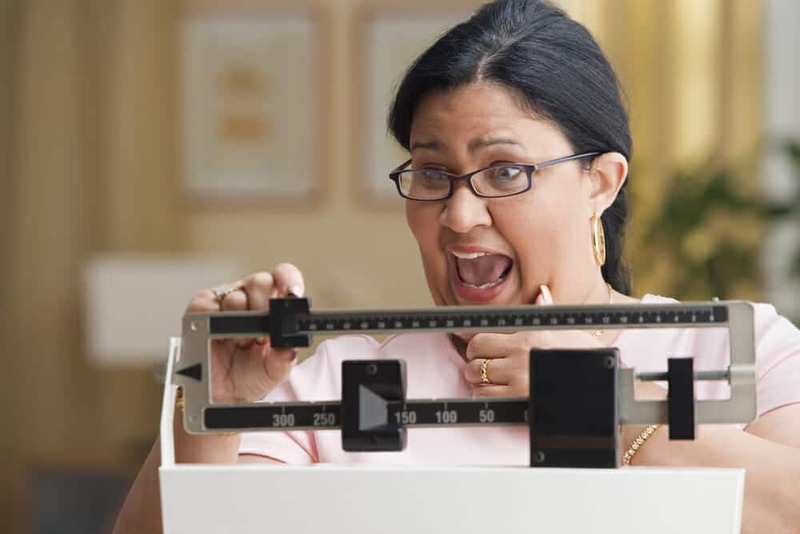 If you are working together with a weight loss buddy, or attending weight loss support meetings, or even networking with other weight loss enthusiasts online, try to avoid comparing your progress to theirs. That is a sure recipe for frustration, and with frustration comes the temptation to quit. Focus only on your own progress and success, and you”ll feel happier all the way to your goal weight. 9) Don”t give in to old habits. Habits can be so difficult to change, especially if you”ve had them for many years. Eating in front of the television, taking second or third helpings, eating too fast ” “ habits like these can definitely work against you as you try to lose weight! The best way to overcome bad habits is to become aware of them, and then make a conscious decision to take a different action. For example, if you want to break the habit of eating while you watch television, start becoming aware every time you do it, and when you realize what you are doing, immediately stop. Get up and put the food away. Do something else with your hands. Get up and march in place, or lie on the floor and do some sit-ups ” “ anything to distract you from the habit of eating. Over time, you will break that old habit and it will cease to be an automatic action. 10) Don”t try to go it alone. Do you usually try to keep your weight loss quiet? Are you afraid that others would make fun of you or put you down for trying to lose weight? Or do you simply feel like you can”t count on anyone in your life to help you? Support is very important while you are trying to lose weight! Not only are you trying to change some powerful unhealthy habits; you are also trying to deal with a lot of self-defeating thoughts and limiting beliefs that have a big impact on your weight loss. Trying to struggle through on your own can slow you down. If possible, seek out a partner or mentor that you can lean on when necessary. You can hire a therapist or counselor; join a support group; or even hook up with some virtual buddies in online groups. When you feel supported and loved, you will find it much easier to move through the rough patches. 11) Don”t get discouraged about plateaus or slow progress. As much as you would probably love to breeze right through to your weight loss goal easily and quickly, you know that”s probably not going to happen. More often than not, obstacles and challenges come up in any weight loss journey, and one of the most maddening is called a ” “plateau”  ” “ otherwise known as stalled or extremely slow progress. When most people find themselves stuck on a plateau, will try a bunch of different things to start losing again, but when it doesn”t work, their commitment starts to fade. They figure since they aren”t losing weight anyway, they may as well eat what they want ” “ and they go right back to their former bad habits and gain weight. Don”t fall into that trap! Remember that plateaus and slow progress WILL PASS. They won”t last forever. You just have to wait them out and stay committed to achieving your goal, no matter what. Okay, now for the ” “do”s” ! Weight loss is a very personal thing, and your journey will be different than everyone else”s. It”s important to avoid blindly accepting advice or information from someone else as if it were the gospel truth. Educate yourself about health and fitness and become your own expert. Why is it important to avoid consuming too much sugar? How does exercise benefit your body, beyond just burning calories? 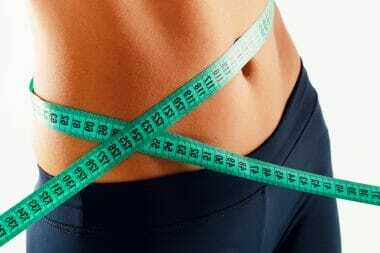 How can you boost your metabolism to burn fat quickly and safely? You know what they say; ” “knowledge is power” ! The more you know, the more effectively you can take the right actions to reach your goal weight quickly and easily. Instead of just following ” “an authority”  you”ll empower yourself to be in charge of your own health and well-being. 2) Do believe in yourself. Have you ever struggled to stick to a weight loss plan because it seemed too hard? More often than not, this is caused by a lack of belief in yourself. When you don”t believe in yourself, you feel weak and shaky. Everything you try to do seems intimidating and overwhelming. When you start believing in yourself, you suddenly have an inner well of power and strength that you can draw on to carry you through even the most challenging tasks. Obstacles seem smaller and more easily overcome; you become proud of your progress and eager to keep going. Okay, now for the million dollar question: HOW do you start believing in yourself if you really don”t believe in yourself? It takes a little time to really feel the truth of the words you are speaking, but within a few short weeks you”ll notice that you feel quite a bit stronger and more confident in your own abilities. And when that happens, there will be no stopping you! 3) Do take responsibility for your success. Do you ever try to blame other people or institutions for your extra weight? Do you blame your parents for teaching you bad habits? Do you blame your spouse for not being supportive enough? Do you blame your friends for ” “enabling”  your bad behavior? Do you blame restaurants for making unhealthy foods available? It is so tempting to blame others for your lack of success, but it doesn”t do you a bit of good. Even if other people may have contributed to your excess pounds and bad habits, YOU are ultimately the one who is responsible. Start taking full responsibility for your successes and failures, even if they sometimes seem to be out of your control. Remember that no one can force you to eat foods you don”t want to eat. No one can prevent you from exercising. No one can hold you back from reaching your goal if it”s something you really want to achieve! Keep reminding yourself that you make your own choices, and therefore take full responsibility for the outcome of those choices. Sometimes that”s a tough pill to swallow, but it”s also very empowering once you realize that you have full control over whether you succeed or not. 4) Do strive for wellness. 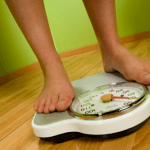 Losing weight is not just about dropping pounds and inches. It”s about learning new lifestyle habits that improve your health and well-being. Weight loss is just a welcome benefit of being healthy and strong! Even though losing those extra pounds is undoubtedly important to you, keeping your focus on wellness first and foremost will help you make wiser choices. Sometimes when you focus too intently on losing weight, you make poor decisions that negatively impact your health. You may be tempted to eat too few calories, or exercise too much, or take unsafe supplements just because you think it will help you get to your goal more quickly. That just wastes time and makes it harder to lose weight. If you strive for wellness in everything you do, you”ll not only improve your health and feel great, but you will automatically lose weight steadily too. It”s a win-win! 5) Do commit for the long term. Losing weight is not a one-shot deal. A lot of people make the mistake of thinking like that, and once they”ve reached their goal weight they go right back to their former habits and gain the weight back. Rather than seeing your weight loss as a ” “hurry up and get it done”  endeavor, make a commitment to stick with your healthy new habits long term. Yes, weight loss is your main goal, but you”ll also have to think about weight MAINTENANCE after you reach your goal weight. That”s why making modest changes is better than following a fad diet or rapid weight loss program; those techniques don”t do a thing to teach you how to keep the weight off after you”ve lost it. If you focus on making small, steady changes to your eating and exercise habits, you”ll feel very confident in your ability to keep up with them not just while you are losing weight, but long after you”ve reached your goal weight. It”s the only sure recipe for long-term success. 6) Do love your body. But that kind of punishment never works for long. In fact, it”s very possible that a negative attitude toward your body is what”s been keeping the extra weight on for so long! When you don”t feel good about your body, you are more likely to treat it poorly and abuse it with unhealthy habits. When you turn that around and start loving your body exactly as it is right now (yes, fat and all! ), you will take much kinder actions that will ultimately improve your health and result in effortless, natural weight loss. From this moment on, avoid thinking negatively about your body. Start expressing love and acceptance for your body, and start taking daily actions that will benefit it. Rather than forcing yourself to eat foods you don”t enjoy just because they”re good for you, choose foods that are healthy AND tasty. Rather than forcing yourself to exercise because you have to burn off a few hundred calories a day, choose activities that inspire you and motivate you. Enjoy the feeling of moving your body. Enjoy the feeling of your muscles getting stronger, balance improving, and your self-confidence growing. Any action taken from a feeling of love and compassion will benefit your body far more than any action taken from a feeling hatred and disgust. Commit to loving your body back to well-being, and you”ll reap many more rewards than you would by punishing your body. 7) Do drink plenty of water. No matter what kind of eating program you follow for weight loss, drinking plenty of water is going to be an important part of it. Being fully hydrated makes you lose weight much more quickly and easily, but it”s not just about the pounds lost. Water helps all of your organs and muscles function better. Your liver is better able to metabolize fat; you have more energy and stamina for working out (or just getting through the day); food cravings diminish; and you just feel a lot better. As a result, you find it much easier to stick to a healthy eating plan. The minimum recommended water consumption for healthy adults is 64 ounces a day. That”s eight glasses (8 ounces each). That may sound like a lot, but if you look at an 8 ounce glass, it”s not big at all. You can down that much water in a few gulps. If it helps, try scheduling your water intake for certain times of the day so you don”t forget. For example, if you eat 3 meals and 2 snacks each day, you might drink 8 ounces of water before each meal, another 8 ounces with each meal, and 8 ounces with each snack. That”s 8 glasses! It doesn”t seem so hard when you do it that way. 8) Do exercise daily, but moderately! Exercise is a sticky subject for many people who want to lose weight. Some people hate exercise with a passion and avoid it at all costs. They try to compensate for their lack of activity by cutting their calorie intake down as far as possible. This may work for a short period of time, but eventually their weight loss will slow down dramatically. Other people take the opposite approach and jump right into an extreme workout program, which can increase their risk of injury and make it much more likely that they”ll get burned out on the whole idea of working out. To avoid either of these extremes, it”s important to see exercise as something you should do daily, but MODERATELY. It”s not necessary to work out until you drop, but it”s also not healthy to avoid exercise altogether. Instead, come up with several forms of exercise you think you would enjoy doing, and then commit to doing them for 20-30 minutes a day. Good exercises for beginners are: brisk walking, bicycling, dancing, low-impact aerobics, light weight training, yoga, and swimming. Be sure to speak to your doctor before beginning any exercise program. 9) Do get plenty of rest and sleep. Like many other people, you may not be getting enough sleep. You may have a very busy life so you have to keep moving all day long with little time to just rest and relax. The problem with this is that it can have a detrimental effect on your ability to lose weight and keep it off. There is a hormone called ” “cortisol”  that is produced in your body during times of stress, fear, and anxiety. The function of this hormone is to increase strength, protect the immune system, and increase mental alertness in times of danger. That makes it very beneficial . . . except that most of the things that stress you each day are NOT actual dangers, so you end up with an overabundance of this hormone in your system. When your body keeps producing too much cortisol each day, you start gaining weight, especially around the midsection. So in a very real way, being stressed and un-rested can interfere with your weight loss goals. It may not be easy, but you have to find ways to carve out some more time to rest and relax. Even if you have trouble falling asleep, just lying down calmly and quietly can help you feel more relaxed. And the more relaxed you feel, the less cortisol your body will produce. If you don”t think you can make time to rest and relax, at least consider setting aside 10-15 minutes for daily meditation. Sit quietly, close your eyes, and focus on your breathing. Take deep, slow breaths and concentrate on relaxing all of your muscles. It”s amazing how calm and peaceful you can feel just from this brief little exercise! Try it yourself if you have doubts. Within a matter of a few days you”ll feel a difference. The most common weight loss rewards happen when you reach important milestones, like 10 pounds lost, 50 pounds lost, etc. Those are great achievements, and you should feel proud every time you reach one! Celebrate by buying yourself a little something to commemorate the achievement. You can also reward yourself for your ongoing effort and dedication. For example, if you make it your goal to drink 64 ounces of water every day this week and you do it ” “ reward yourself for that. If you commit to exercising for 20 minutes every day and you do it, reward yourself. If you”ve gone 30 full days following your healthy eating plan religiously, reward yourself. What kind of ” “rewards”  should you give yourself? Preferably non-food rewards. It doesn”t do you any good to reward your commitment to healthy eating with a 2-pound hot fudge sundae. Instead, buy yourself a little gift that you can enjoy for longer than 20 minutes. Treat yourself to a new book, download a new MP3 album, buy a new pair of shoes, take in a movie you want to see. Also be sure to reward yourself verbally. Congratulate yourself and cheer yourself on whenever possible. ” “Way to go, I did it! Great job drinking my water this week! I”ve lost another 2 pounds, yay for me!”  Little positive comments like that can really make you feel good about yourself. Last but not least, it”s important to be patient with the whole weight loss journey, and be patient with yourself as you learn new ways of living. It can be really challenging trying to overcome ingrained bad habits, trying to form healthy new habits, fighting cravings and environmental influences, and staying motivated when you really don”t feel up to it. But allowing yourself to feel impatient will only make time seem to slow down. When you really, really want something badly, it seems to take forever to arrive, right? Avoid this happening with your weight loss by deliberately exercising patience each and every day. Soothe yourself with positive self-talk so you don”t start focusing on how much farther you have to go to reach your goal. Look back at how far you”ve come, and notice how time seemed to move so quickly in hindsight. Remember that some day you”ll be looking back at THIS moment and marveling that it didn”t take very long at all to get to your goal weight.